Archie Andrews turns heads after 75 years of Archie - Yo, Manila! Remember Archie? After 75 years, the hottest redhead in the comic biz, will be turning heads around as he’ll be getting a face-lift on July 8, 2015. The new Archie Comics releases their totally revamped monthly series, Archie on the said date. The company tapped popular comic book superstars Mark Waid and Fiona Staples to reimagine the Riverdale gang for the new release, with Waid writing the storylines and Staples doing the artwork. So does that mean Archie will be getting a little… hipper? The idea behind the revamp wasn’t neccessarily to attract a new audience, says Waid. But what about the die-hard fans who don’t like to see artistic changes to their beloved icon? And for those who miss the old Arch? 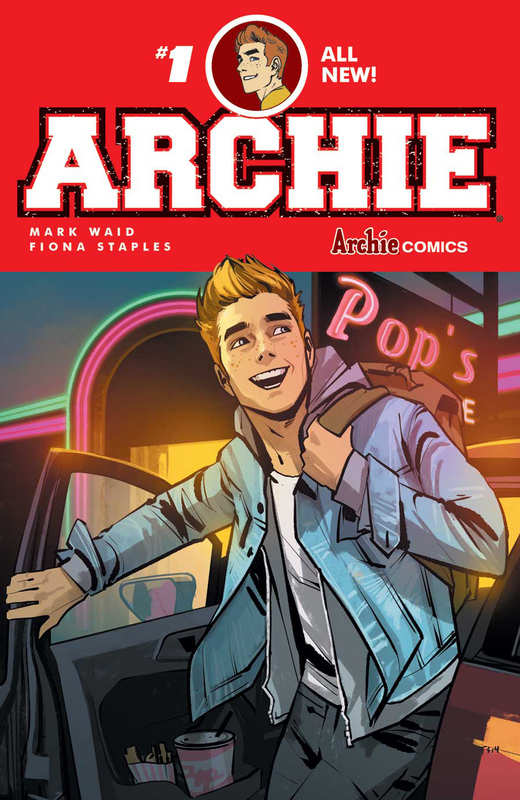 “For those who still want their ‘Archie Classic’ look, that’s still featured in the Archie digest comics—but in the monthly comics, Archie and his entourage look utterly contemporary,” Waid says. Waid, who usually pens superhero comics, says he was excited to write comics made up of “equal measures comedy, teen angst, and heart.” As for the inspiration for writing for the Riverdale gang? Not a problem. “My girlfriend’s 15-year-old -daughter and her friends keep me honest when it comes to knowing what American high school kids wear today, what they do, and how they act,” he says. Archie fans around the globe surely can’t wait to find out.